The Potentially Existential Threat to Israel from "Palestine"
EXECUTIVE SUMMARY: “Palestine” could present a far greater threat to Israel than a third intifada or persistent terrorism. This threat, which would further exacerbate the area’s correlation of forces, is potentially existential. Under certain circumstances, Palestinian statehood could meaningfully enlarge the prospects of both mega-terror attacks and regional nuclear war. The measure of danger posed to Israel by a future Palestinian state is not subject to casual reflection. It can be ascertained only through the disciplined examination of proper hypotheses – conceptually, systematically, and deductively, in the manner of a scientific investigation. An application of this process shows the threat to Israel of “Palestine” to be much greater than is typically alleged. The threat is so great, in fact, that it could ultimately prove existential. This is the case, moreover, despite the fact that the tangible threat posed by Palestine to Israel’s survival would be indirect. It’s a bit like the case of a person who won’t die as a direct result of some insignificant illness, but who will be sufficiently weakened by it to become susceptible to more terminal pathologies. It also remains conceivable, if unlikely, that the Palestinian state per se would pose lethal hazards to the Jewish state. These hazards would appear in increments, rather than in “bolt from the blue” military strikes. By definition, a state of Palestine – no matter how it is constituted – would be carved from the still-living body of Israel. It is similarly incontestable that Arab terror against the Jewish State would not subside following Palestinian statehood. This is because the leaders of any future Palestinian state – one with more formal juridical status than the current UN “nonmember observer state” designation – would continue to regard the now-diminished and more vulnerable Israel as “Occupied Palestine.” Why would they revise their original concept of “the Zionist enemy,” especially after they had become irrefutably more powerful? There is no way for analysts to assign a numerical probability to this prospect, but no other conclusion can plausibly be extrapolated from Palestinian platforms, maps, charters, and policy positions. Of further significance, especially as US President Donald Trump clings to the cliché of the “two-state solution”, Arab terror would likely expand even more quickly than if there had been no Palestinian state. This forecast also follows directly from all we know about Palestinian positions. A shallow political mantra, no matter how often it is repeated in Washington, London, Gaza, or Ramallah, is no substitute for reality. Should anyone still believe the Palestinian Authority (PA) and Hamas would be content with a new state carved entirely from “Israeli occupied territory,” they need only be reminded that the Palestine Liberation Organization (PLO) was founded in 1964, three years before there were any “Israeli occupied territories.” Moreover, the State of Israel as it exists today is smaller than Lake Michigan. Even before the creation of Palestine, the Arab world of 22 states is 672 times the size of Israel. Much concern is being expressed at the possibility of a third intifada. For Israel, the rational remedy for such a prospect is not to encourage its adversaries to morph into a more organized and structured state enemy. Any juridically enhanced State of Palestine could magnify its cumulative adversarial capacity to inflict great harm on Israel. It is possible that such harm, imposed with a margin of collective impunity, could eventually involve weapons of mass destruction, including chemical, biological, or even nuclear agents. Palestine, after achieving statehood, could be in an optimal position to assault Israel’s Dimona reactor. This nuclear facility was attacked in 1991 and again in 2014. Those earlier missile and rocket barrages, which produced no serious damage to the reactor core, originated with Iraqi and Hamas aggressions, respectively. Regarding expected Palestinian state intentions, there is little mystery to fathom. Palestine could and would provide a ready platform for launching endlessly renewable war and terror attacks against Israel. Significantly, not a single warring Palestinian faction has ever bothered to deny this. On the contrary: aggression has always been openly embraced and cheered as a sacred “national” incantation. 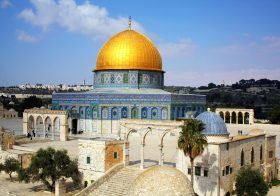 A September 2015 poll by the Palestinian Center for Policy and Survey Research, the leading social research organization in the Palestinian territories, found that a majority of Palestinians reject a two-state solution. When asked about their preferred alternate ways to establish an independent Palestinian state, 42% called for “armed action.” Only 29% favored “negotiation” or some sort of peaceful resolution. On all official Hamas and Palestinian Authority (PA) maps of “Palestine,” Israel has either been removed altogether or identified as “occupied Palestine.” In this way, Israel has already been subjected to “cartographic genocide.” From the standpoint of prospective Palestinian state policies toward Israel, such maps express intent. It is insufficiently recognized that a Palestinian state could play a role (if indirect) in bringing nuclear conflict to the Middle East. Palestine itself would be non-nuclear, but such renunciation is hardly exculpatory. There would remain other ways in which the new state’s infringements of Israeli security could render the Jewish state more vulnerable to a nuclear attack from Iran, or, in the more distant future, from a newly nuclear Arab state. In essence, any such Sunni Arab nuclear proliferation would represent a more-or-less coherent “self-defense” response to escalating perils issuing forth from the reciprocally fearful Shiite world. More could be expected from the Sunni side. 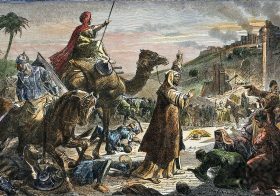 ISIS or some subsidiary incarnation could begin a destructive march westward, across Jordan, perhaps all the way to the borders of the West Bank. 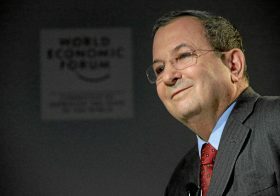 Should a Palestinian state already be established, Sunni terrorist cadres would pose a serious threat to any deployed “Palestinian army.” In the event that Palestine had not yet been officially declared (i.e., in a fashion consistent with the Montevideo Convention), invading ISIS/ISIS-type forces –not Israel – will have become the principal impediment to Palestinian independence. ISIS has been expanding beyond Iraq and Syria, notably into Yemen, Libya, Egypt, and Somalia. Although Hamas leaders deny any ISIS presence in Gaza, the group’s black flag is now seen more regularly there. In principle, at least, Israel could find itself forced to cooperate with Hamas against ISIS – but any reciprocal willingness from the Islamic Resistance Movement, whether visible or below the radar, is implausible. Additionally, Egypt regards Hamas as part of the Muslim Brotherhood and considers it as dangerous as ISIS. In any event, after Palestine, and in the absence of any takeover of the new Arab state by ISIS-type forces, Israel’s physical survival would require increasing self-reliance in existential military matters. This would demand 1) a revised nuclear strategy involving enhanced deterrence, defense, preemption, and warfighting capabilities; and 2) a corollary conventional strategy. The official birth of Palestine could affect these strategies in several disruptive ways. Most ominously, a Palestinian state could render most of Israel’s conventional capabilities much more problematic. 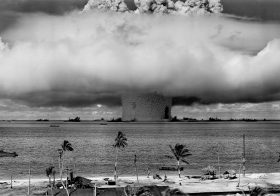 Ultimately, therefore, it could heighten the chances of regional nuclear war. A nuclear war in the Middle East is by no means out of the question. At some point, such a conflict could reach Israel not only as a missile attack, but also as an intended or inadvertent result of escalation. If, for example, enemy states were to begin “only” with conventional and/or biological attacks on Israel, Jerusalem might respond, sooner or later, with nuclear reprisals. Or if these enemy states were to begin hostilities with conventional attacks on Israel, Jerusalem’s conventional reprisals might then be met with enemy nuclear counterstrikes. For now, the second scenario will become possible only if Iran continues its advance toward an independent nuclear capability. It follows that a persuasive Israeli conventional deterrent, at least to the extent that it could prevent enemy state conventional and/or biological attacks, would substantially reduce Israel’s risk of exposure through escalation to a nuclear war. Israel will always need to maintain and refine its capacity for “escalation dominance,” but Palestinian statehood, on its face, could impair this strategic obligation. A subsidiary question comes to mind. Why should Israel need a conventional deterrent at all? Israel, after all, seemingly maintains a nuclear arsenal and corollary doctrine, though both remain deliberately ambiguous. There arises a further query. Even after Palestine comes into being, wouldn’t enemy states desist from launching conventional and/or biological attacks on Israel out of fear of suffering a nuclear retaliation? Not necessarily. Aware as they are that Israel would cross the nuclear threshold only in extraordinary circumstances, these enemy states could be convinced – rightly or wrongly – that so long as their attacks remain non-nuclear, Israel will respond only in kind. Faced with such calculations, Israel’s ordinary security still needs to be sustained by conventional deterrent threats. A strong conventional capability will be needed by Israel to deter or preempt conventional attacks that could lead quickly, via escalation, to unconventional war. Palestine could have further deleterious effects on power and peace in the Middle East. As the creation of yet another enemy Arab state would arise from Israel’s dismemberment, the Jewish State’s already minimal strategic depth would be further diminished. Over time, Israel’s conventional capacity to ward off enemy attacks could be correspondingly reduced. Paradoxically, if enemy states were to perceive Israel’s sense of growing weakness, it could strengthen Israel’s nuclear deterrent. 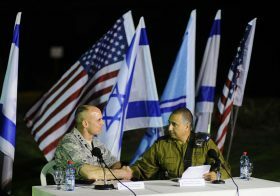 If, however, enemy states did not perceive such a sense among Israel’s decision-makers (a more likely scenario), these states, now animated by Israel’s conventional force deterioration, could be tempted to attack. 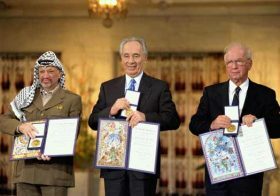 The cumulative result, spawned by Israel’s post-Palestine incapacity to maintain strong conventional deterrence, could become: 1) defeat of Israel in a conventional war; 2) defeat of Israel in an unconventional chemical/biological/nuclear war; 3) defeat of Israel in a combined conventional/unconventional war; or 4) defeat of Arab/Islamic state enemies by Israel in an unconventional war. For Israel, even the “successful” fourth possibility could prove intolerable. The consequences of nuclear war, or even “merely” chemical/biological war, could be calamitous for the victor as well as the vanquished. Moreover, under such exceptional conditions of belligerency, traditional notions of victory and defeat would lose all serious meaning. Although a meaningful risk of regional nuclear war in the Middle East exists independently of any Palestinian state, this threat would be even greater if a new Arab (terror) state were declared. 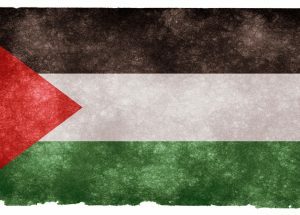 Should the endlessly fratricidal Palestinian territories be transformed and institutionalized into yet another corrupt Arab state, Palestine, either itself or as a newly incorporated element of a metastasizing “caliphate,” would likely become another Syria. Even more ominously, Palestine could indirectly bring the nuclear menace to the wider neighborhood. As we have learned from Syria, an entire region can find itself facing a uniquely injurious form of chaos, one that is primal, visceral, and self-propelled. To better visualize this form of civilizational breakdown, consider the near-total “state of nature” described in William Golding’s novel, Lord of the Flies. Moreover, long before Golding, Thomas Hobbes warned of lawless circumstances wherein humans must coexist “without any authority above them.” The 17th-century English philosopher described dire circumstances of rampant chaos in which prevails a suffocating pall of “continual fear, and danger of violent death”. As for the “life of man” in these dark circumstances, Hobbes’s Leviathan foresaw it as inevitably “solitary, poor, nasty, brutish and short.” It is just such an intolerably corrosive life that we must expect for Israelis and others in the aftermath of “Palestine.” This conclusion emerges not from conventional wisdom or “common sense”, which remains the unsteady basis of presidential policy judgments in Washington, but from the imperatives of a disciplined scientific examination. Louis René Beres is Emeritus Professor of International Law at Purdue and the author of twelve books and several hundred articles on nuclear strategy and nuclear war. His newest book is Surviving Amid Chaos: Israel’s Nuclear Strategy (Rowman & Littlefield, 2016).